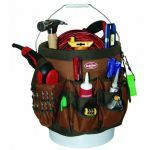 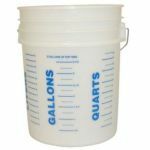 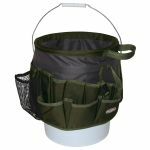 Premium quality 61 pocket bucket organizer in 600D rip-stop polyester with 36 triple-row exterior pockets and 25 double-row interior pockets, and includes a cordless drill pocket with a side release buckle securing strap. 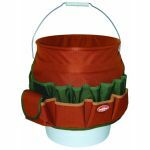 Made of durable 600D rip-stop fabric. 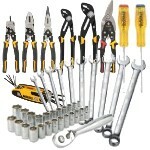 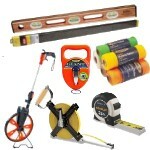 36 triple row outside pockets, 25 double row inside pockets to organize a wide range of tools and accessories. 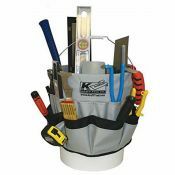 Drill holder with side release buckle security strap.